We actively maintain a service provider list in house for our own use, and are happy to email it to you anytime. 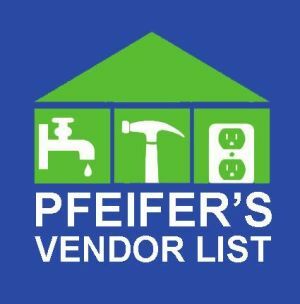 Our vendor list is ideal for finding service providers from window cleaners to screen repairs. It's useful preparing a home for sale, addressing inspection items prior to closing, and for relocation contacts before and after a move. Most of our recommended service providers have done business with us personally, or come highly recommended from our clients. They have a proven track record of outstanding service. If at anytime you feel that we should remove a business from this list, let us know.